Marwan bin Jassim Al Sarkal, CEO of the Sharjah Investment and Development Authority (Shurooq), has been integral to the success of the Authority since its inception in 2009, with the guidance of HH Sheikh Dr Sultan bin Muhammad Al Qasimi, Member of the Supreme Council and Ruler of Sharjah, and Sheikha Bodour bint Sultan Al Qasimi, Chairperson of Shurooq. (Shurooq) is the driving force behind the transformation of Sharjah as an investment, tourism, and business destination, guided by the Emirate’s traditions and inspired by innovation. Steered by Al Sarkal’s creativity and drive, the Authority has adopted world-class standards in providing services and studies to attract investors from the UAE, the Middle East, and all over the world. Possessing a sharp understanding of the market and in-depth insight into the functioning of economies and international legalities and legislation, Al Sarkal has proven his mettle in quality, operations control, and strategic planning. He was also instrumental in the shaping of the Sharjah arts and culture scene, through the launch of the Maraya Art Centre. He is distinguished for his exceptional leadership style, as an excellent motivator who strives to create a friendly working environment in which all employees are encouraged to create, innovate and openly express their ideas. He is a keen proponent of creating opportunities for talented UAE Nationals representing almost 40%, holding various positions including executives and management positions. Alongside his role at the helm of (Shurooq), Al Sarkal is a Board Member of the Sharjah Football Club, a patron of Design Days Dubai, Chairman of the German Emirati Joint Council for Industry & Commerce (AHK)-Sharjah Chapter, Trustee of the Emirati-Swiss Friendship Forum, Deputy Head of Knowledge Without Borders and a former Board Member of Sharjah Tourism and Development Authority. He is also a Member of the Sharjah Tourism Advisory Committee, and serves on the Board of Governors of Skyline University College and a member of several UAE Ministry of Economy joint councils with other countries. 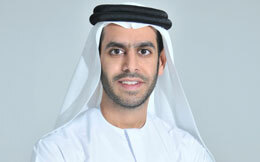 Having held a multitude of senior positions, he is widely considered a key figure in Sharjah’s growth ambitions. An independent government entity, (Shurooq) facilitates partnerships and connects investors, corporations, and entrepreneurs with the right opportunities. Since the Authority’s creation, Sharjah’s GDP has grown from AED 61 billion in 2009 to AED 114 billion today. To achieve its mission, (Shurooq) seeks to evaluate and follow-up on tourism, investment, and heritage-related infrastructure projects, participating in the comprehensive construction and development processes both within the emirate of Sharjah and in the UAE as a whole. (Shurooq’s) portfolio of unique mixed-use developments – combining retail, cultural attractions, and F&B – offer premium investment opportunities in exceptional master-planned destinations.